While home in Saint John for a summer visit, I took photos around town as I usually do. I also created a video which I have entered in a separate blog post. I have probably taken this shot before in Rockwood Park, but I don’t care. It always looks beautiful. From a fairly remote area of the park, I took this photo overlooking Lily Lake with a view of Uptown. 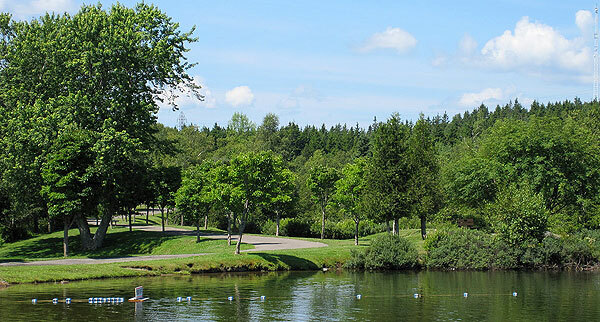 The St. John River as seen from UNBSJ is always a beautiful site. 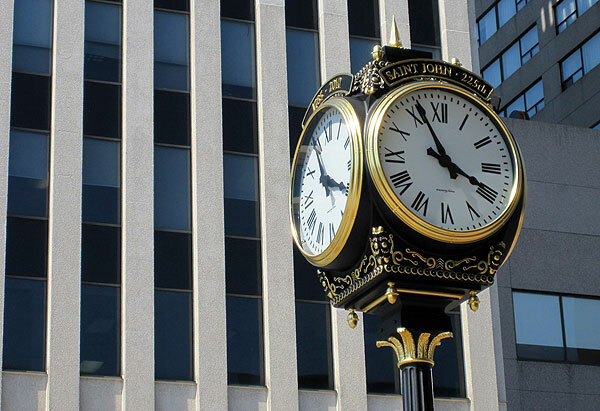 The clock donated by Irving is a wonderful addition to the foot of King Street. The architecture of Brunswick House behind makes it even better. It was made by the Electric Time Company. Uptown during a work day is generally a quiet place when there are no tourists. These guys are always outside, though! 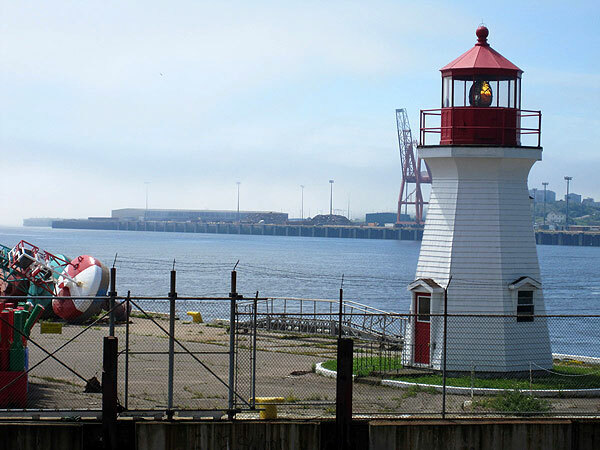 This view of Saint John Harbour reminds us that this is a working port, even though the major tourist attractions are not far away. 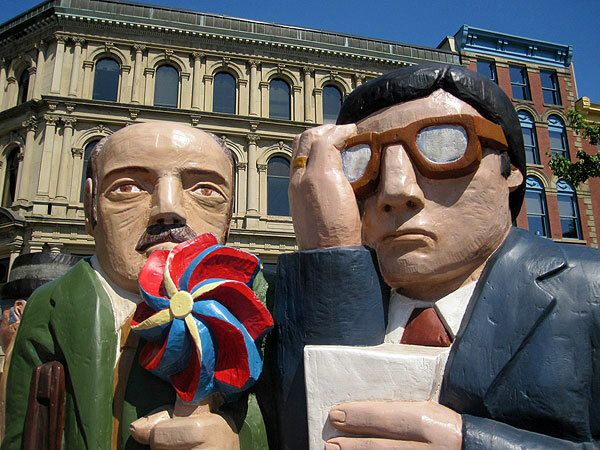 Check out my Saint John tour video in my other blog post.